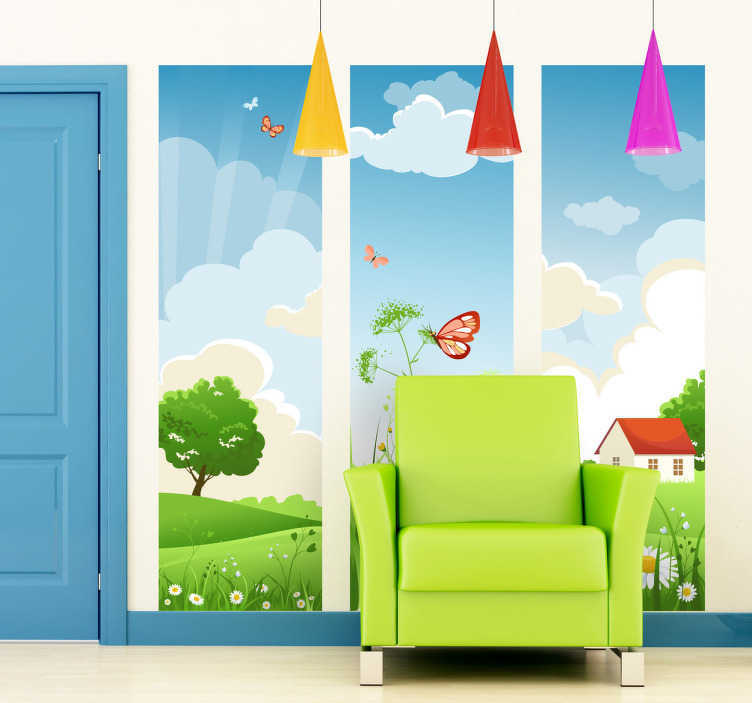 Wall Stickers - Three scene design vector view of a spring meadow, green fields and wildlife. Available in various sizes. *Measurements given for all three panels.